A former tile museum transformed into a stunning Grade II-listed luxury home is up for sale. Robin Hood Cottage in Great Staughton, Cambs, used to house the Taggart Tile Museum until it was forced to close its doors. But now it offers a five-bedroom detached period home which is on the market with luxury estate agents Fine & Country for £1.2 million. 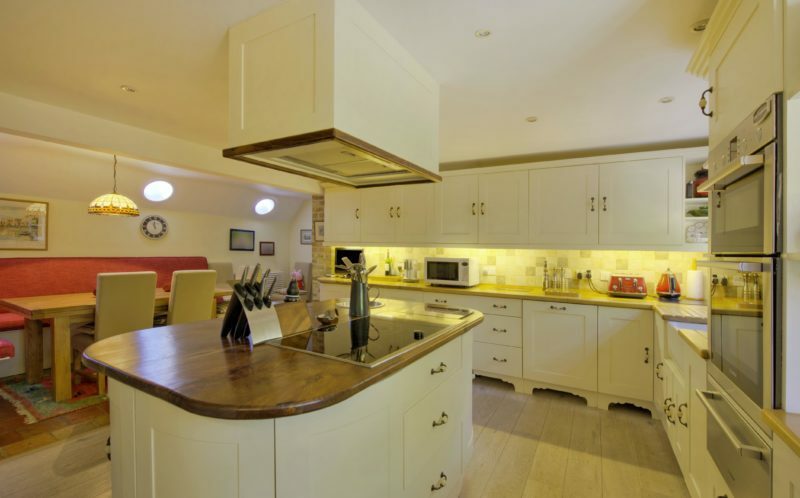 The property has been renovated by the current owners and they have taken it from a poor state of repair to a stunning home in the vein of the original house built on the site in 1540. While the front of the house is still reminiscent of the original building, extensions were added to the rear in 1760 and the latter part of the 20th century. 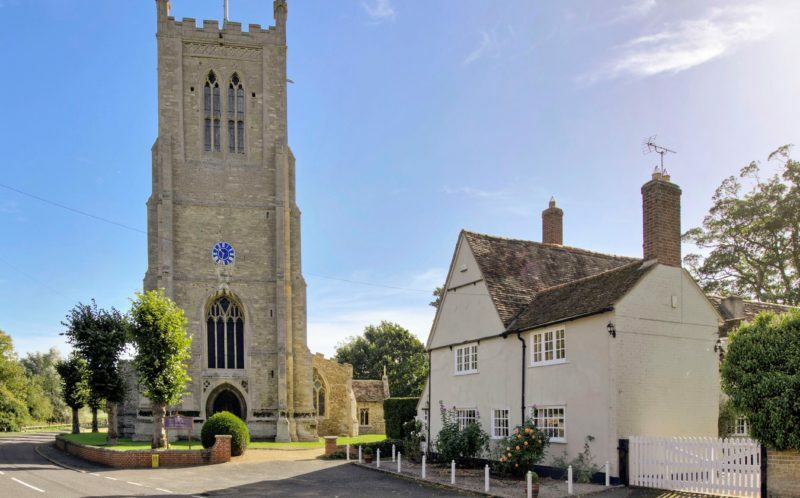 Sitting right next to the picturesque St Andrew’s Church, the house blends period features with all of the trappings of modern living in the 4,200 sq ft plot. 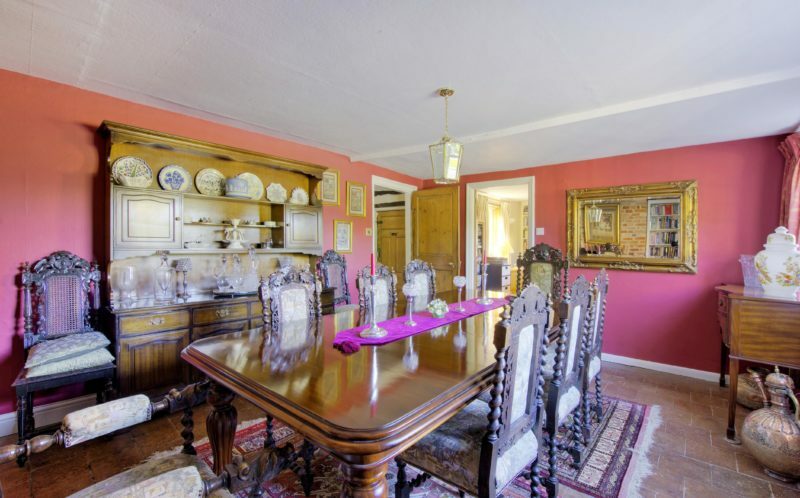 The four grand reception rooms on the ground floor retain all of the period character that a prospective owner may expect from a centuries-old home. But the bespoke modern kitchen/breakfast room that sits alongside them is state-of-the-art. The owners undertook extensive renovations to the drainage, plumbing and wiring to bring the house into the 21st century as well as replacing poor quality rendering that had rotted oak timbers and wall fabric. They have also altered the interior with doorways moved to improve the flow while additional windows and sun tubes have added natural light and four new bathrooms have been inserted. The two bedrooms on the top floor had previously only been accessible by an external staircase but internal steps have now been added. Four stained glass panels, which came from the house of the author, Anthony Trollope, have been installed by the owners; three can be seen in the wall between the drawing room and the stairs, while another is set in the old oak door leading to the sitting room. Under-floor heating is now a constant feature while a drawing room sits below the staircase featuring an open inglehook fireplace. The modern kitchen that was hand-built by local carpenters using sycamore tops and a large island with a walnut work service. Exposed timbers carry over into the modern part of the house to create a cohesive style in the entrance hall, dining room, study and preparation rooms which also fire quarry-tiled floors. Upstairs, five spacious bedrooms offer plenty of room for a family with plenty of space for visiting guests too. 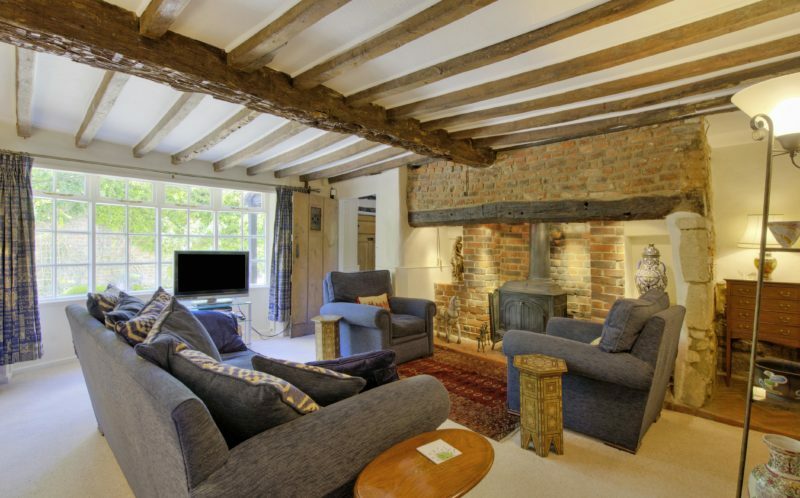 The sitting room’s star attraction is an inglenook fireplace complete with wood-burning stove while there is also a larder with a wine rack and shelves that offer marble insets to keep food cool. Outside the property, there is half an acre of gardens offer complete with seating and dining areas, offering ideal places to entertain and enjoy the surrounding countryside. 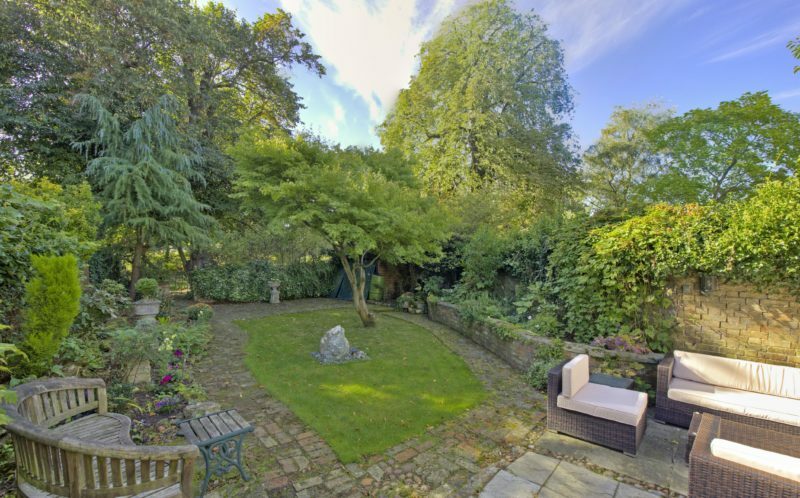 There is also a main garden with a large lawn and wooded areas while a walled garden has been brought back from an overgrown mess to an eye-catching feature. Laura Browning of Fine & Country St Neots said: “We are very happy to be marketing this property enriched with history. “Research done in the office found that this is the former Taggart Tile Museum and Gallery, a former shop and a former inn, now fully renovated whilst maintaining period character.